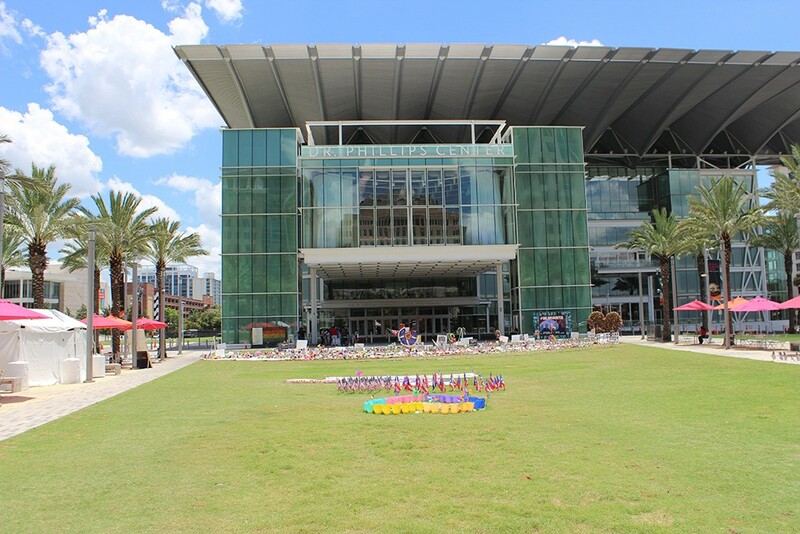 In the weeks after the Pulse shooting, the broad lawn in front of the Dr. Phillips Center for the Performing Arts, across from City Hall, became an impromptu public mourning space where people could express their grief through songs, prayers and art. Locals brought flowers and teddy bears, while some musicians donated their time to play in the foreground. President Obama and Vice President Biden came here to lay wreaths of white roses. The day after the shooting, 20,000 people gathered to cry, light candles and listen silently while a nearby church bell tolled 49 times.